Nov. 9th, At 2:50 p.m. on Apr. 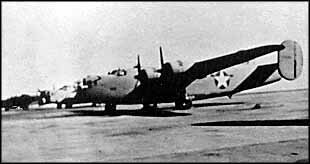 4, 1943, 25 B-24 D of the 376th Bomb Group took off from their AAF base at Soluch, Libya, for a high altitude bombing attack against harbor facilities at Naples, Italy. All planes but one returned safely to Allied territory that night the one which was missing was the Lady Be Good. Almost 16 years later on Nov. 9th, 1958, several British geologists were flying over the desolate sun-baked Libyan Desert. At approximately 400 miles south of Soluch, they spotted an aircraft on the sand.